It is now 100% official, season 3 of Canal+'s original series Borgia is its final season, per Tom Fontana's request. Filming of these last 12 episodes will last 8 months (that's more time than American production standards of 2 episodes/month), from May 27, 2013 to January 27, 2014, mostly in Czech Republic with a few weeks in Rome. Season 3 will depict the fall of the weakened Rodrigo and the rise of Cesare as he tries to fulfill the dream of the Borgia family, unifying the Papal States. All 12 episodes might air on Canal+ in late Spring 2014. Season 2 received much praise when it aired in March/April — DVD/Blu-ray sets have been released shortly after. 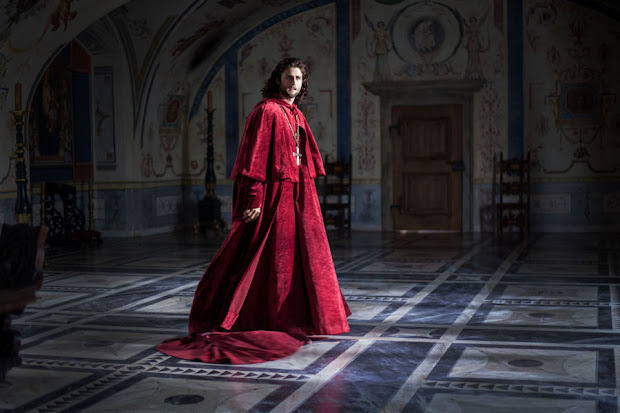 Showtime's version doesn't have such a clear future ahead : the third season of The Borgias, ending its run on June 16, may or may not be the last one with a two-hour TV movie to wrap it up instead of a full-fledged fourth season. Nothing is official so far. And no one here cares but WorkinGirls, a short comedy from Canal+ (each episode is 11-12 minutes long) has been renewed for a 12-episode third season, filming in and around Paris between 1st July and 6th August. Season 2 will start airing 13th June, and both seasons 1 & 2 will be released on DVD on 9th July.